Running numbers: 2251 - 2299, 2200 - 2250, 3200 - 3219. 1939 (2201 - 2210) to lot number 322. 1946-48 (3200 - 3219) to lot number 360. The '2251' class were designed to replace the Armstrong and Dean goods engines in use on lines in Central Wales. Utilising the Standard number 10 boilers, 5 feet 2 inch driving wheels, copper capped chimneys and large wide cabs with side windows, the class found favour working short haul main line trains and branch passenger usage. 20 engines that were a little different from the rest of the class were numbers 2211 - 2230 built in 1940 which did not have the side windows fitted due to safety fears in wartime. In addition, numbers 2281 to 2286 were built with tenders from the 'Aberdare' class, as were another ten engines that were coupled to these tenders from time to time. The first locomotive of the class withdrawn was number 2258 in December 1958 while the last engine in service was number 2210, withdrawn in June 1965. 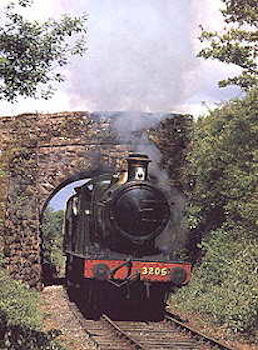 Only 1 example of the '2251' class has been preserved, namely number 3205.